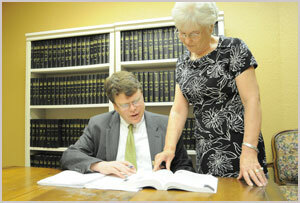 At the Law Office of Samuel M. Smith we're not just here to provide dependable legal services. It is important to us to get to know each of our clients and to understand your individual circumstances and needs - we take the time to listen to you and advise you as well as act on your behalf. I like to think that my hard working team and I are approachable and that you can depend on us for friendly, straightforward advice. If you need to talk to an attorney then call my office in Athens, Texas today for an initial conversation. We provide a range of comprehensive real estate legal services for home sales, private sales, deed preparation, title searches, notarization, defending house foreclosures, disputes over titles & encroachments and adverse possession. We can help you by preparing estate documents, with planning, and with filing will after an individual has passed away. We can help you with your estate planning including creating a trust for your grandchildren's education, for tax purposes or to generate income. We provide services catering to misdemeanors of any sort, if you've been charged with a felony, have probation issues or criminal record & disclosure issues we may be able to help you. We can help you if you are going through or thinking about a divorce, through child custody proceedings or separation of the marital estate. We can help with your property disputes, if you've been charged criminally over a physical attack, if you want to take action for example if you've been the victim of a civil assault and want to take action to cover your hospital bills. If you have been injured in a car accident, by a potentially defective product or at work then we may be able to help.